We are on FaceBook, Twitter, Pinterest and Google+ or you can read our Blog! 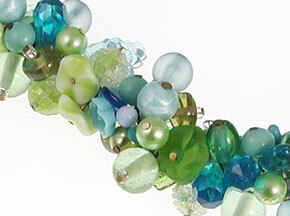 We will share news, products updates and helpful product photography tips. Happy Christmas 2018 and Here's to a Very Successul 2019! We would like to take this opportunity to thank all our lovely customers for choosing to shop with us this year. 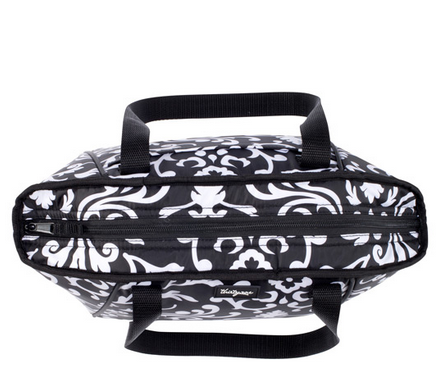 It has been a great pleasure to help so many of you to improve your product images and make more sales as a result! I Your success is our success! We wish you all a peaceful and joyous Christmas and we look forward to welcomining new and existing customers in 2019. The standard of website product images continues to rise and, while this can only be a good thing, you can be sure your competition will not risk getting left behind. So you need to make sure you are keeping up too. If you need any advice to make sure you are presenting your products in the best way possible to your customers, please do get in touch and we'd love to help. We have updated our Privacy and Cookies Policy, in accordance with General Data Protection Regulation (GDPR) that came into force on May 25th 2018. 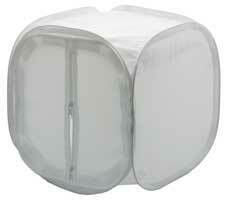 EZcube Light Tents hare in Stock! 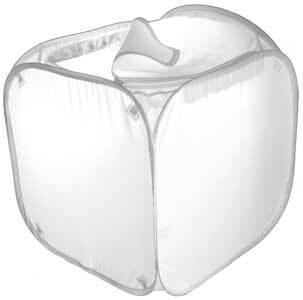 EZcube Advanced Light Tents are now available. All sizes in stock. Grab one now! 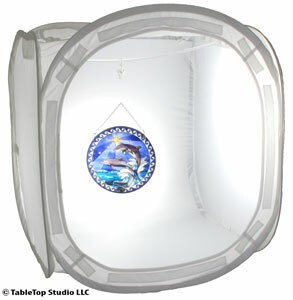 The EZcube is the most advanced photography light tent on the market with many unique features not found on any other product. Take your own professional website product photos and save time and money! EZcubes come in five sizes - 12" (30cm), 20" (51cm), 30" (76cm), 40" (102cm) and 55" (140cm). EZcubes also come in Kits specially tailored for all kinds of different products - from jewellery to collectables to luggage and furniture. EZcubes Are On The Way! 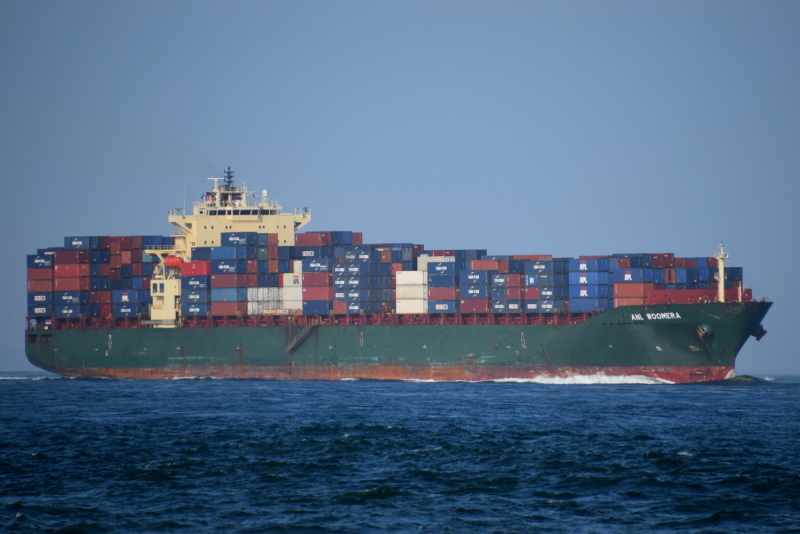 EZcubes, the world famous market leader in Light Tent Cubes, have been out of stock for a while but we are delighted to announce that they are currently in transit to us and should arrive the first week in October (yes, this really is the ship they are on right now!). We have had many enquiries so we are making the EZcubes available for pre-order so you can get your order in early, ready for depatch as soon as they arrive. 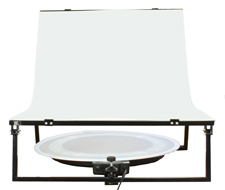 If you are interested in pre-ordering one of our Product Photography Kts with an EZcube included (instead of a SimpleFoto Light Tent) then please just drop us an email at sales@tabletopstudio.co.uk and we will be pleased to help. Check out the EZcube's Special Features ! 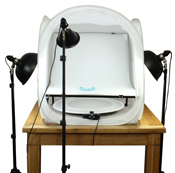 Our helpful Quick Set-Up and Camera Settings Guide has now been expanded and improved to give you even more tips to get you started with your new TableTop Studio Product Photography Kit. 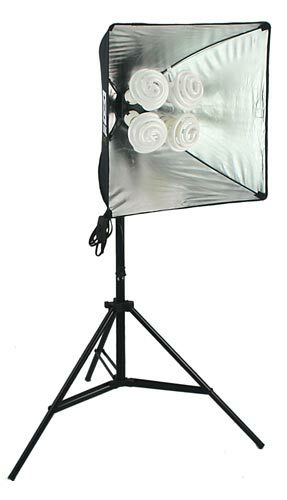 It comes FREE with every Product Photography Kit! Learning how to take great photos is one of the most important things you can do to improve your website. Since prospective customers can’t see or touch your item in person, photos communicate an item’s beauty and important qualities. Beautiful photos will help your sales. 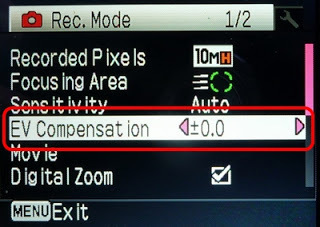 Luckily, taking great photos is a skill that you can learn! Watch this helpful video from Etsy for some basic product phototgraphy tips. Morph and Chas Have a New Canon Camera! Watch Morph and Chas play around with their new Canon camera! This time of year many of us ask ourselves, “What camera should I buy?” Truth is, it can be tricky to decide what camera to buy because we like to shoot different subjects which have different needs. 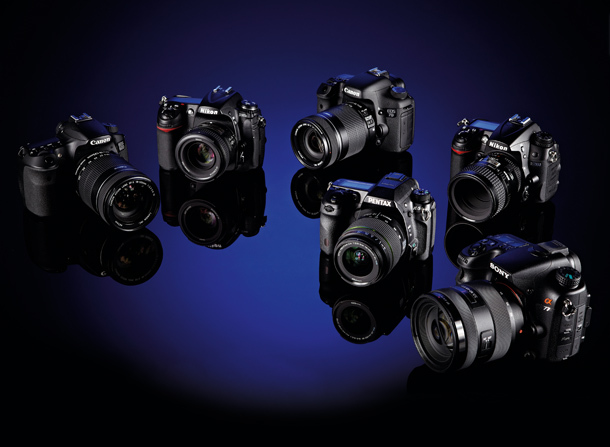 In this jargon-free buyer’s guide Digital Camera World's head of testing Angela Nicholson has some advice that will put you on the right track. Just one of many helpful and interesting posts on our TableTop Studio Blog! 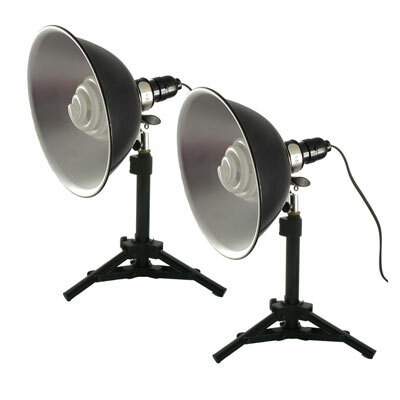 Two Tabletop Lights Set Featured on The Gadget Show! 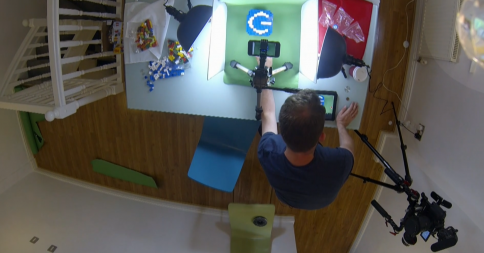 Although product photos can seem both cumbersome and even pointless to anyone managing a website or e-commerce business, especially in an era where “content is king,” they are perhaps more important than ever. And until the cost of video production drops or someone invents a 3D product simulation experience, they’ll be the quickest, most inexpensive way for you to convey what you are selling and why it matters to audience. On Saturday 31st May 2014 we had a staff outing to the Fox Talbot Museum and History of Photography at Lacock. 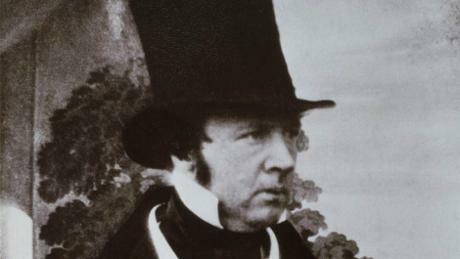 The Fox Talbot Museum celebrates the life and work of William Henry Fox Talbot (1800-77) who owned and lived in Lacock Abbey. Fox Talbot created the first ever photographic negative in 1835, taken of a small window at the Abbey. He shared his invention with the world four years later in 1839, 175 years ago. We have come a very long way since then, into the digital age, but it is well worth remembering where it all started. You can visit the fascinating Fox Talbot Museum at the National Trust's Lacock Abbey in Wiltshire. Entry is free to National Trust Members. Check it out here.